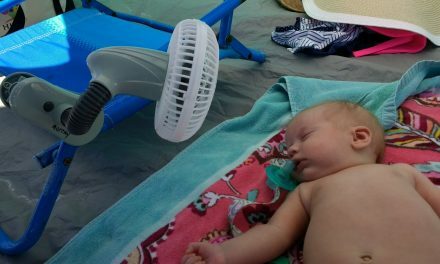 A waterproof outdoor blanket can have so many purposes. 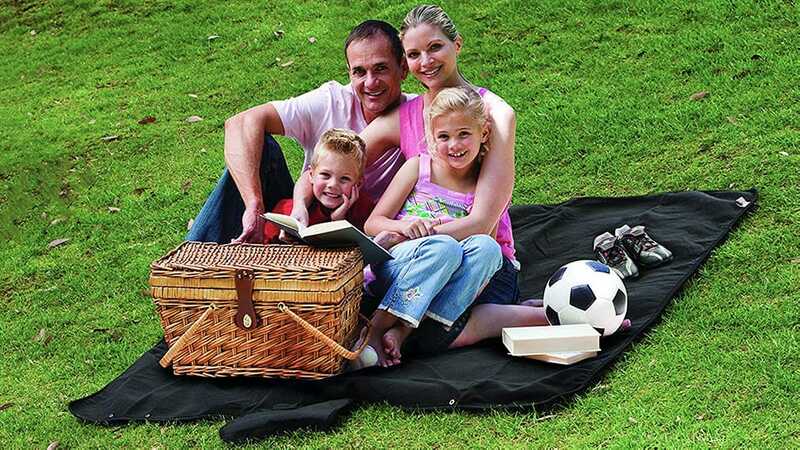 Picnic time may be the first activity that comes to mind, but a durable blanket can do much more. If you are moving, a blanket protects the furniture and the vehicle. A thick waterproof blanket can go under your tent as a footprint. Or, it can wrap up you and a loved one by the fire. 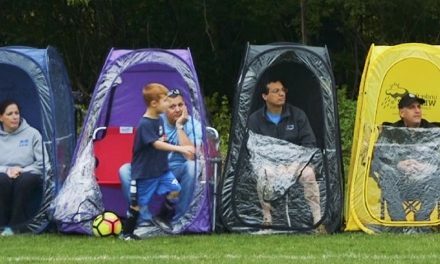 We are going to review waterproof outdoor blankets specifically for sporting events. Therefore, we will examine what to put your child on when cheering from the sideline. Also, what will keep you warm during a chilly away game. Here is our guide to choosing the right outdoor blanket for your purposes. Sand Escape Compact Outdoor Blanket has you covered. This unanimous favorite packs into a tiny 6” pack, weighing just over 1 lb. At your destination, the blanket expands to a more-than-sufficient 7 foot by 9 foot rectangle. The parachute nylon material dries quickly, and dirt or sand will wipe right off. A zipper pocket and 4 corner pockets make this product all the more useful. This waterproof blanket is perfect for protection from the rain. It also makes a clean, durable surface that the kids can play on. However, the parachute material is too thin to be very warming and will blow away easily. MIU COLOR Foldable Picnic Blanket . This blanket stands out with a waterproof PVC bottom, and a patterned polyester top. The polyester provides more weight and comfort than some of the other blankets. The MIU COLOR folds into a small parcel that has Velcro and a convenient handle. Parents may lament the lack of a pocket. The 5 foot by 6.5 foot size is plenty for a few people to sit on, or for kids to spread out their toys. This blanket also can save the carpet if used for a TV dinner. Check out the various designs to catch attention on the sidelines! NAPA, from KC Caps, has re-written the game with this innovative blanket. The uses are listed as blanket, poncho, cushion and table cover! The aptly-named Outdoor Hooded Blanket features a hood in a zippered pouch. Oxford fleece lines the inside, and waterproof polyester covers the outside. The ability to quickly convert into a poncho really sets this one apart. 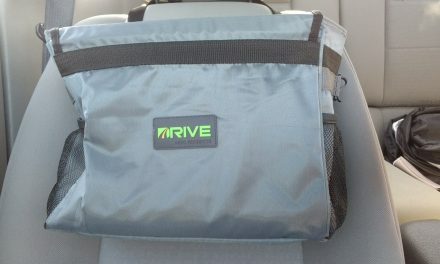 It also up into a compact shape with a carrying strap. We consider it personal because it measures 4.2 foot by 5 foot and will cover two adults at the most. This convenient personal blanket will tame the elements and allow you to enjoy your spectating! If you are only going to get one blanket, you want one that will meet all your needs. Whether it’s avoiding wet grass or icy wind, this blanket performed the best. The Mambe Large 100% Waterproof/ Windproof lives up to its name, with one side made of cozy fleece. The nylon ripstop on the other side forms a shell to keep out the wind and moisture. At 5 foot by 7 foot, this all-purpose outdoor blanket covers the whole family. Users gush about how much warmth comes from a blanket with 2.55 lbs carrying weight. Finally, the blanket comes in many cool patterns, and has a carrying strap or optional stuff bag. If you keep this in the car, you will be the hero next time you need it! Thank you for exploring our recommendations for the top outdoor blankets! We are committed to making sure that watching your kids play is a comfortable and memorable experience. 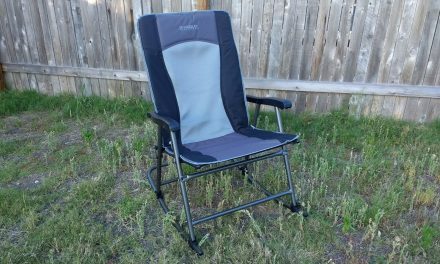 If you are a devoted spectator, check out our Best Stadium Seats and Folding Chairs for Heavy People. Please let us know your experience in the comments below and stay cozy this season! PreviousEasy Beach Games for Kids – Fun in the Sun!